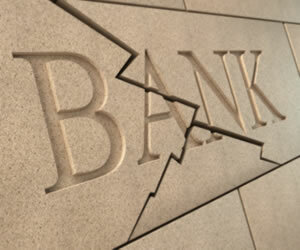 Home › Credit Cards Blog › Are Banks Still Relevant? Have you ever wondered if the classic American bank is even necessary these days? Millions have no access to them anyway, courtesy of a battered credit history, job losses and a host of other reasons. Checking accounts are increasingly becoming antiquated as consumers opt for prepaid debit cards instead. Mortgages can be found with mortgage brokers (even if the brokers do move them along to one of a small handful of national banks. It’s interesting because there are a few more trends that are beginning to emerge when it comes to consumers and their finances. When you think of a banker, you might see an image of a professional leader, complete with a tie and a corner office. Odds are, the last thing you would believe about a felon – especially one who spent three decades in jail – is that he’s the “go to” guy for those in a pinch. And he’s turning minds every day. Planet Money recently presented an expose on “everyday, average Americans”. What it found is truly fascinating. Miguelo Rada spent 32 years in prison and because he’s just recently been freed, he hasn’t secured housing or perhaps part of his parole agreement, he remains in a halfway house in Harlem. He has no income, though does receive some public assistance, including food stamps. Yet, if you were to approach him, he would gladly lend you $20, $100 or more with few questions, no credit checks and no hard-drawn lines for the terms of the loan. He says he always gets repaid when his friends and neighbors can afford to pay it. It’s called “consumption smoothing” and is defined as efforts to cover the leaner times, especially when one is out of work. It’s all about the consistency and eliminating the “feast or famine” dynamic in today’s modern workforce. These are the consumers that don’t have access to credit cards and they don’t have the luxury of walking into the office of their golfing buddy, who also happens to be the bank president, with a request for a loan. Even that scenario is more difficult than what Rada goes through – and sometimes with total strangers. His application process is quite simple, too and doesn’t require all of that pesky paperwork. He simply asks the would-be borrower what he needs the money for. He doesn’t do this to pass judgment, he asks because along with cash, the borrower might need other help – unloading a truck, sitting at the hospital with the borrower’s mother and other neighborly things we take for granted. You might refer to these types of loans with a sense of community – and that’s exactly where many of them start, in the neighborhoods where everyone knows everyone else, their moms, grandmas and third cousin twice removed. There are a few drawbacks, of course. Perhaps the biggest red flag is the fact that those with troubled credit histories aren’t allowed the luxury of improving credit with on time payments to Rada. This means credit cards won’t be an option for some for awhile. Others came to terms with it years ago and say a credit score is overrated in their neighborhoods anyway. It makes sense – and those neighborhoods are expanding, too. Still, for those who have nowhere else to turn, Rada is the one who steps up to the plate, time and again. It’s worth the tradeoff for those who rely on his kindness and genuine belief in doing good. This was an interesting find. Like Rada’s efforts, Sou Sou is quite simple. A group of people – whether it’s friends, co-workers or neighbors – come together and plan to add to a small fund (most don’t include banks, so one from the group takes on the responsibility of ensuring the cash is always accounted for). It can be designed to fit the needs of those in the group. For instance, one group of women have promised to put in $100 every other week. The money accumulates for two weeks and then, it’s given to the next person in line. Ten friends putting in $50 a week can mean $1000. It works from what we’ve been able to gather. With the changing mindsets associated with so many who continue to struggle financially, the timing is perfect, too. Most use their money to pay down credit card debt or other expenses, but there are no rules on how it’s spent. Vacation, a new handbag, new riding mower – when it’s your week to collect the loot, it’s yours. Not only that, but because the success hinges on everyone making their deposits, most appreciate the importance of it. If you’re considering a Sou Sou type of product, choose your group wisely. These are the people everyone else will be counting on. Also, start small if you need to. You can always grow your group or up the deposit once everyone is comfortable with the process. Yes, it’s true: you can rent tires. There are companies popping up around the country, often with clever names like “Rockin’, Rentin’ and Rollin”, and the service they provide has been an answered prayer for many. Tire rental stores like this one have been around for a while, but it’s not been until recently that it was actually tires being offered as most were focused on costly rims that many want. The shift, explains one business owner, has to do with an inability to buy new tires, even when a customer is riding around on slick tires. Renting the tires is a good option for these folks. In many ways, it mirrors traditional rent to own companies. And like those home furnishings companies, a small down payment ensures you leave that day with your tires. There’s another common denominator: rental tires are as overpriced as the furniture and electronics rental stores. One company owner credits stagnant wages and high unemployment in his state (9 plus percent) as the reason why more are looking for those alternative lending sources. Of course, peer to peer (p2p) lending options are still popular. Most of these financial products are unsecured personal loans, which means you have to put nothing aside as collateral. It’s a risk for the individuals who lend their money, but it’s rare that a borrower defaults because he knows how powerful a resource these companies can be and most become lenders at some point, too. The interest rates are most often set by lenders, though some companies predetermine the interest rates based on credit scores. The lower your scores, the higher the interest rate. The companies themselves will earn fees based on the dollar amounts of the loans, in which the borrower must cover. It should be noted that lenders in these scenarios aren’t as worried about the borrower not repaying the money as they are about the company filing bankruptcy or simply bailing. That too is rare, but it has happened. Ideally, these bad apples won’t spoil the model. The success is evident and the need, of course, is there as well. This brings us back to our initial question: are banks a “has been”? Have you heard of other alternative loan products? If so, share them with us and we’ll review them for a future post.